Acupuncture helped my recovery from ‘burn out’ in the early 90’s. I’d been working too many night shifts in 24 hour TV news rooms. I was restless and unhappy. I was suffering from constant headaches and came close to becoming chronically fatigued. Chronic Fatigue, or M.E, as it came to be known then, was not recognised at the time, so I was left to find my own way back to health. I stopped work, slept for hours, spent time in whatever nature I could find. Learnt how to meditate, tried different alternative treatments and slowly started to recover. 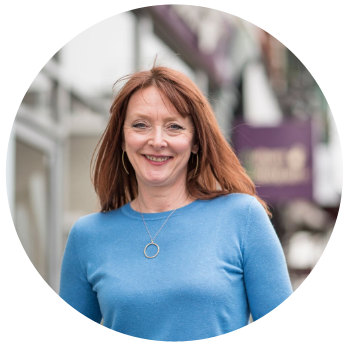 At the time acupuncture was the one therapy which instantly relieved my headaches and slowly I pieced myself back together with the support and guidance of my acupuncturist and a handful of other amazing alternative therapists and teachers. I then began to train as a therapist myself. By the time I was ready to set up in practice I was over forty and faced the prospect of perhaps not having children. However, I was very lucky to fall pregnant quickly and naturally and I had my son a few weeks shy of my 42nd birthday. Giving birth so late in life and being blessed with a good natural birth inspires daily when I am encouraging women on their journey towards becoming parents. 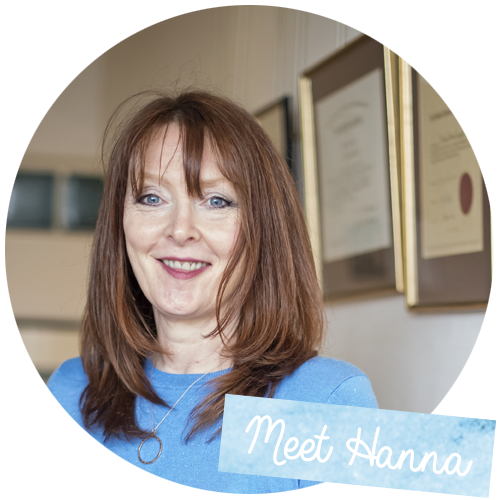 Hanna is a women’s health acupuncturist and nutritionist. She specialises in fertility, pregnancy and birth. She brings her combined expertise as an acupuncturist and nutritionist together to help and support her patients.